The winners of the first draw of this year's sock-along have been chosen. 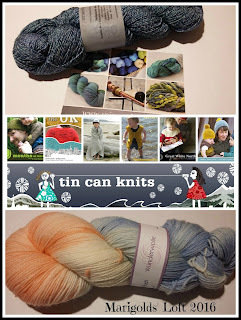 FeoragRuadh won the other gorgeous skein of Wunderwolle Sock yarn! Congratulations ladies, I am sure you will enjoy your winnings! If you would like to win something at the next draw (will take place on 2nd July 2016) then come on over to the Ravelry Group and join in the fun.